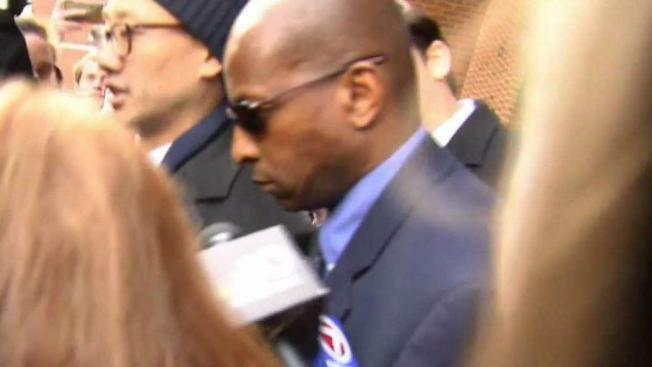 A former soccer coach at Yale Univesrsity has pleaded guilty in connection with the college admissions cheating scandal. A former women's soccer coach at Yale University pleaded guilty Thursday to taking hundreds of thousands of dollars in bribes in exchange for pretending applicants were recruits to boost their chances of getting into the school. Rudy Meredith, 51, is the third person to plead guilty in the wide-ranging school admissions scandal in which authorities say wealthy parents paid an admissions consultant to rig their children's test scores and bribe coaches at sought-after schools. Meredith, who faced wire fraud charges, and his attorneys haven't returned messages seeking comment. The FBI's investigation into the admissions scheme began after an executive who was under investigation in Boston for securities fraud told authorities that Meredith offered to designate the executive's daughter as a recruit in exchange for cash, a law enforcement official has said. The official was not authorized to discuss the case and spoke on the condition of anonymity. During the meeting, Meredith also mentioned the admissions consultant, Rick Singer, which was the first time that authorities had heard his name, Assistant U.S. Attorney Eric Rosen told the judge Thursday. Investigators obtained Meredith's bank records, which showed that Singer had paid the coach more than $860,000 in the years leading up to the hotel meeting, Rosen said. "We had learned through the telephone calls that this obviously wasn't related to a single bribe or single coach but rather a scheme, a scheme to defraud universities," Rosen said. In one case, authorities say Meredith accepted a $400,000 bribe to get an applicant admitted as a recruit even though he knew she didn't play competitive soccer. Prosecutors say the consultant, Singer, sent Meredith a fake athletic profile that described the student as the co-captain of a prominent club soccer team in southern California. The applicant's relatives paid Singer about $1.2 million, officials say. Yale said Monday that it has rescinded the admission of a student linked to the bribery scandal. The school has said it believes Meredith gave "fraudulent athletic endorsements" for only two applicants. The other was denied admission despite Meredith's endorsement, the school said. Several others have pleaded not guilty, including tennis coach Gordon Ernst, who is accused of getting $2.7 million in bribes to designate at least 12 applicants as recruits to Georgetown and was the personal tennis coach for former first lady Michelle Obama and her daughters.